Mentoring Projects - Buddy Bear Help e.V. Since 2009, the Buddy Bear Help e.V. 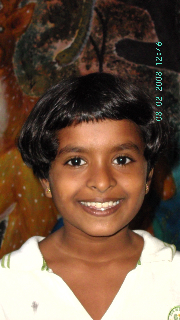 has paid the school fees Shadini Shivangana – now 13 years old - in Sri Lanka. Retired Senate Councillor Dr. Rainer Höttler, who took on an advisory role concerning the realisation of our school project "Berlin schoolchildren build a school in Malawi", has supported Shadini’s family for many years. They lived in a goat stable when he got to know them during his travels. We readily agreed to pay the school fees – in Sri Lanka also due for attending a state school - for the bright girl. Dr. Höttler also introduced us to the fate of ten-year-old Alexia Williams. Dr. Höttler had bought a car for Alexia’s father to enable him to make a living for his family as a taxi driver. When Alexia needed gastric surgery, the Buddy Bear Help e.V. funded the operation. 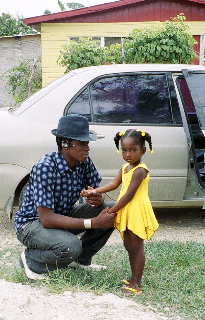 We also contribute to Alexia’s school fees whenever her father does not earn enough money to pay the entire sum.